Brown butter is a handy tool to have at your disposal. Within just a few minutes, a simple, yet versatile, sauce is born. You can use brown butter to coat everything from vegetables to veal, and it adds unexpected notes of flavor to baked goods such as brownies and cookies. 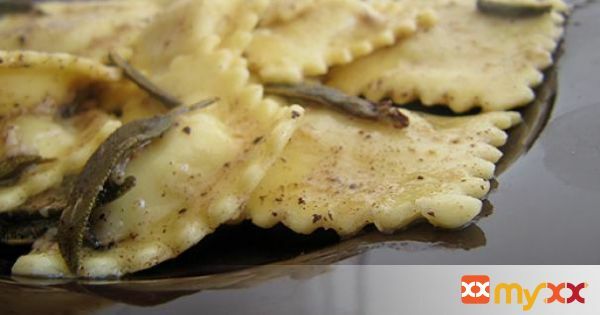 Infusing a nutty brown butter with broken leaves of sage and a bit of nutmeg makes a lovely meal when tossed with some cheese ravioli. 1. Cook ravioli according to package directions. 2. Meanwhile, in large sauté pan, melt butter over medium-low heat. 3. Add sage leaves and let the butter brown, about two minutes. 4. You will see brown specks that have formed on the bottom of the pan. 5. Be careful to not burn the butter, otherwise the taste will be altered. 6. Add ground pepper, salt and nutmeg. 7. Take off heat and add lemon juice. 8. Once ravioli is cooked, add pasta to the brown butter mixture and toss with cheese.